The Centre for Ecumencial Studies at the ACC&C presents this ecumenical roundtable with Special guest speaker Rt. 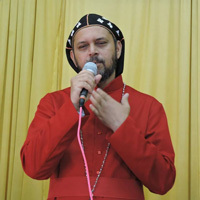 Rev’d Dr Geevarghese Coorilos. He is Moderator of the World Council of Churches Communion on World Mission and Evangelism;Metropolitan of Niranam Diocese of Malankara Jacobite Syriac Orthodox Church; President of Kerala Council of Churches.